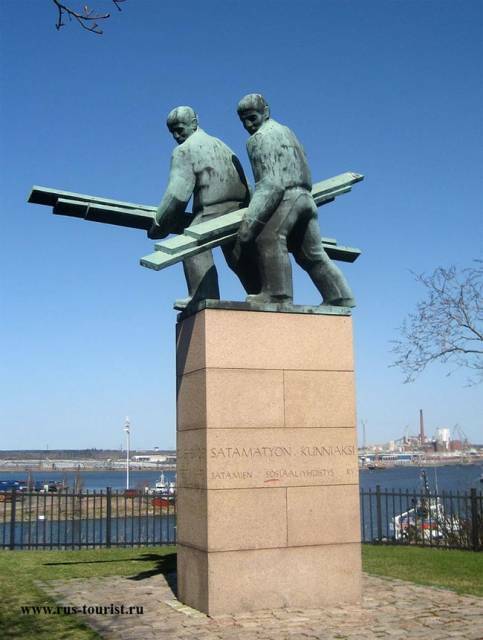 The monument was erected in honor of the port workers (Satamatyön kunniaksi) association of social protection of workers by "Satamien Sosiaaliyhdistys ry". Port creates a lot of jobs for Kotka city residents. The port was originally built for loading wood-working industry products on ships.